This entry was posted on December 24, 2016 by raberry65. It was filed under Fashion Royalty, Poppy Parker and was tagged with Anna Ryasnova, Canon 40D, Canon macro lens 60mm f/2.8, David Buttry, Doll Diorama, Doll Photography, fashion doll diorama, Fashion doll photography, Inside the fashion doll studio, Integrity Toys, ITFDS, OOAK doll couture, Out of This World Poppy Parker, Poppy Parker, Rebecca Berry Photography, Sanglian. Wow! Perfect!! Very beautiful!! Loved!!! Happy holidays!!! Happy Holidays to you and your loved ones !! This is my dream doll life. What a wonder you are. 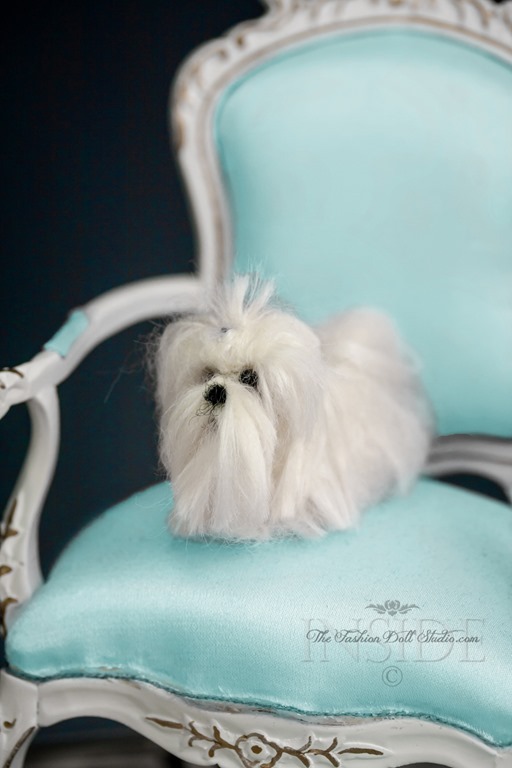 Love the photo of the dog on Tiffany blue! Happy Holidays! Stunning! Went to Tiffany’s today for our annual family Tiffany outing….can never tire of the color! Merry Christmas Rebecca! Very beautiful picture! My favorite color blue!